2018-2019 University of Phoenix Stadium catering menu and order form will be available soon. 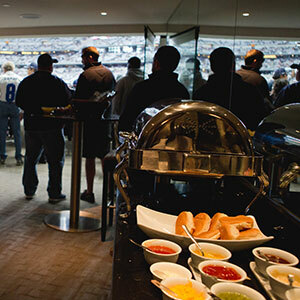 In every suite in University of Phoenix Stadium, you have the option of ordering catering to be served in-suite. Don’t skip this detail. It matters! You and your guests are missing out on the full suite experience if you choose to decline catering. SuiteHop can guide you through the process of ordering catering for your next event so that you only order what you want and need. 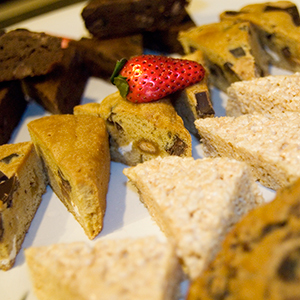 Catering makes events in private University of Phoenix Stadium suite all the more memorable. 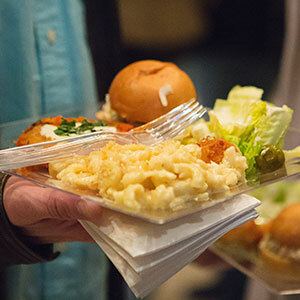 The catering menu choices are all gourmet, even the classic stadium fare is unexpectedly delicious. 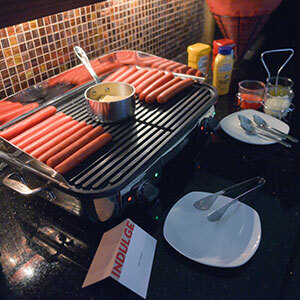 University of Phoenix Stadium suites are designed to pamper you and catering does not disappoint. The chefs with Rojo Hospitality Group are very experienced in catering for events in this venue and will ensure your satisfaction. 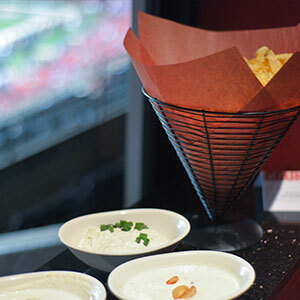 Let SuiteHop’s experts guide you through the catering process just as they guided you through choosing your University of Phoenix Stadium suite. The catering guide features tips, information, menus, and even a pre-filled order form that you can choose to use if you want to order the menu recommended by SuiteHop. This menu is based off the 2018 University of Phoenix Stadium Catering Menu provided by Rojo Hospitality Group. Items are subject to availability. Don’t be left in the dark about the complexities of a catering order and end up with a surprisingly expensive bill at the end of the evening. 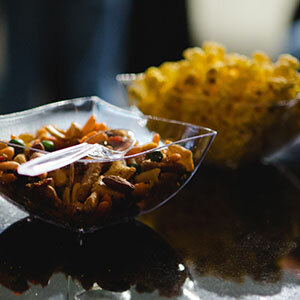 We’ve put together a list of our top Suite Catering Tips for University of Phoenix Stadium. Be aware of the service fees. An additional 18% + sales tax is added onto your final bill to cover service costs from Rojo Hospitality Group.